Posted on 02/18/2019 by paivi	in Live Review and tagged Interpol, New York City, post-punk, The Anthem. 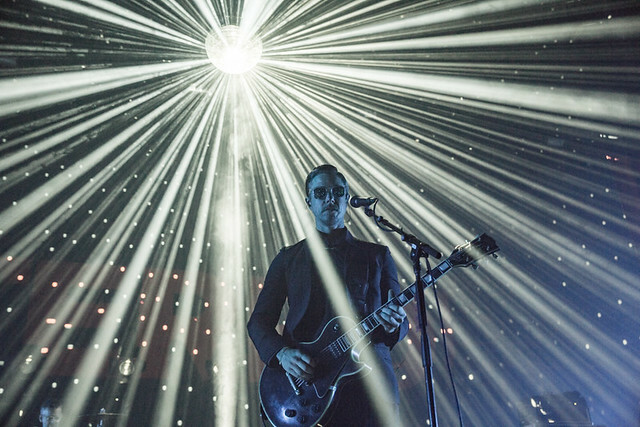 Interpol turned on the bright lights at The Anthem on Friday, and our Paivi Salonen got all of the pictures! Posted on 02/07/2019 by Parklifer	in Preview and tagged Interpol, New York City, post-punk, The Anthem. 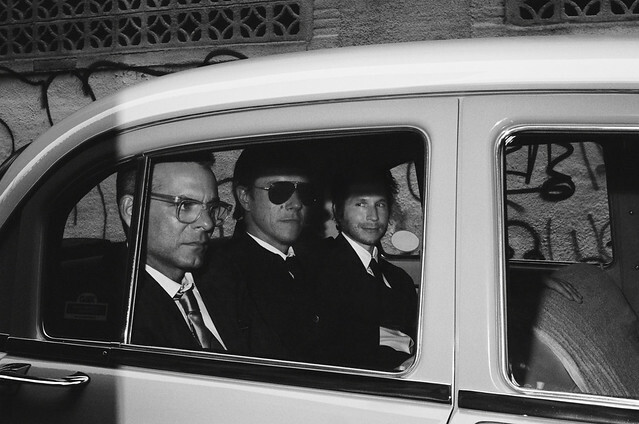 Post-punks Interpol released Marauder, the band’s sixth studio album, last year, and they are on their way to perform at The Anthem on Friday, Feb. 15 in support of the record. Posted on 07/23/2015 by Mickey McCarter	in Live Review and tagged Brandon Curtis, Cosmicide, Echostage, Interpol, neo-psychedelia. Brandon Curtis, formerly of Secret Machines, is making music again with his latest band Cosmicide. As Brandon has been a touring keyboardist with Interpol, he’s coming to Echostage on July 28 to open for the New York post-punk outfit. A few weeks ago, Cosmicide introduced a video for a new song, “A New Disaster,” on Noisey, giving us a taste of things to come. You can watch the video for “A New Disaster” on YouTube above. Although Cosmicide has not yet released a full-length album, the band published a single, “Talos’ Corpse,” in 2014. Brandon took some time off from Cosmicide after the death of his brother Benjamin, who worked alongside him in Secret Machines, and while touring with Interpol. Working with London’s Duly Noted Records, Cosmicide may offer more sparkling neo-psychedelic pop in the near future! Meanwhile, Cosmicide open for Interpol on Tuesday, July 28, at Echostage as Interpol wind down their tour in support of fifth album, El Pintor. Posted on 12/01/2014 by Mickey McCarter	in Live Review and tagged 9:30 Club, Interpol, Paul Banks, post-punk. When a band has gone through some big lineup changes, and releases a fifth album, you don’t necessarily expect the songs from that album to be the most exciting ones played on the next tour. 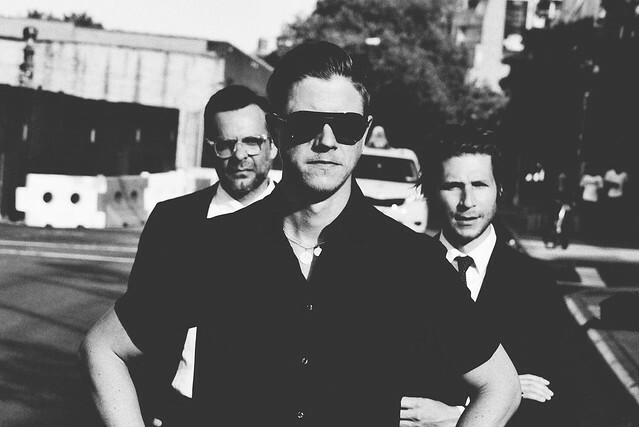 But then this is Interpol, the post-punk standard-bearers that have been defying expectations since they formed in New York City roughly 17 years ago. And so it seems the band can do little wrong as long as the wall of guitars that make up Interpol’s signature sound includes bandmates Paul Banks and Daniel Kessler behind it. The band released El Pintor, its latest album, in September and embarked on a tour to support it. In a sold-out show at the 9:30 Club on Sunday night, the opened with “Say Hello to the Angels” from their first album, Turn On the Bright Lights — and the first and second albums continued to get quite a bit of love throughout the show. But the second song, “My Blue Supreme,” is from the new album, and as the band continue with the set, you can see that the new songs symbolize the continued spirit of their collaboration. Interpol could have hit a speed bump without founding bassist Carlos Dengler, who departed after the last album, but instead they embarked on a remarkable distilling of their sound and thematic messages to produce an album as wholly fresh and exciting as their debut.